Your donation goes to Munster Lost and Found Pet Helpline. 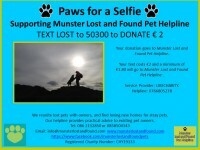 Your text costs €2 and a minimum of €1.80 will go to Munster Lost and Found Pet Helpline . 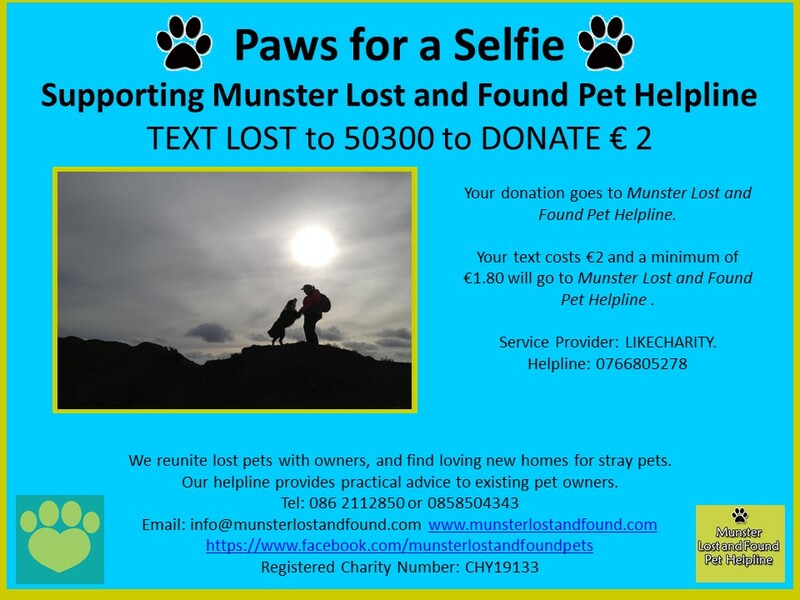 100% of your donation goes to Munster Lost and Found Pet Helpline across most network operators. Some operators apply VAT which means that a minimum of €1.63 will go to Munster Lost and Found Pet Helpline . Please help us reunite lost pets with owners, and find loving new homes for stray pets. 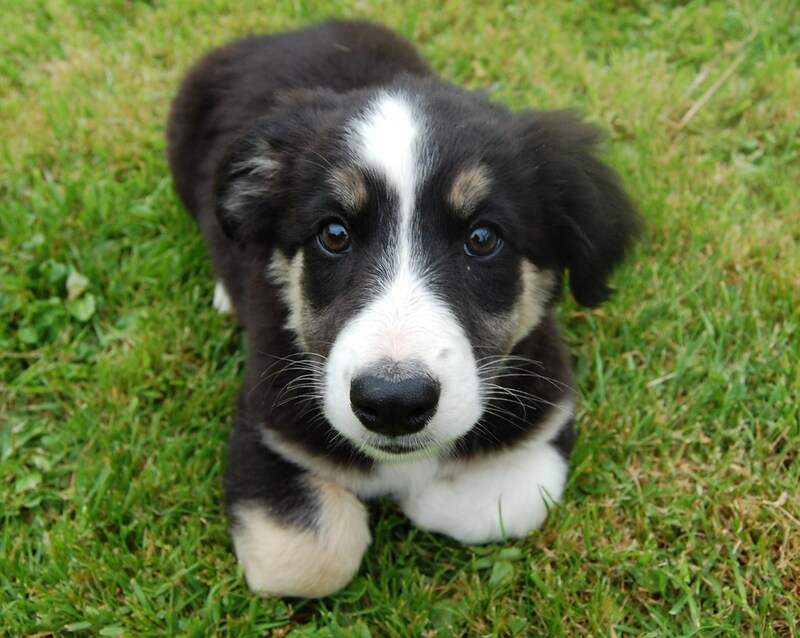 Our helpline provides practical advice to existing pet owners. Generally, public donations are channeled towards the day-to-day care of the pets in our shelter – veterinary bills, food, etc. Click on this link and send your kind donations to lostandfound@online.ie to donate by credit card or PayPal. Use our account details below to transfer directly into the Helpline’s bank account. To organise a donation by cheque or cash, please contact by email info@munsterlostand found.com or phone 0862112850. When you find a dog in an area – please do a bit of local enquiring. It may take some time out of your schedule, but we find many a time someone in the area will recognise the dog. That extra bit of detective work you carry out – could make the difference between the animal finding its home quickly rather than trying to get a place in a shelter. Not everyone is on Facebook or has access to the internet. Knocking on doors, leaving a note in a letter box and sticking up posters regarding the found animal makes all the difference. Some dogs are spooked by adverse weather conditions – which we have a lot of here – and there is also fireworks, gunshots and unexpected noises. Please don’t presume that every dog is abandoned. Become a doggy detective and do a search before you leave the area. 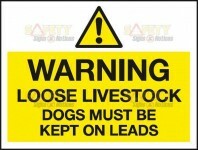 This time of the year we would like to remind people about the dangers of allowing their pets wander loose in fields. There are a lot of livestock out grazing and we must take care not to allow them roam around freely where cattle, sheep and horses are being kept. 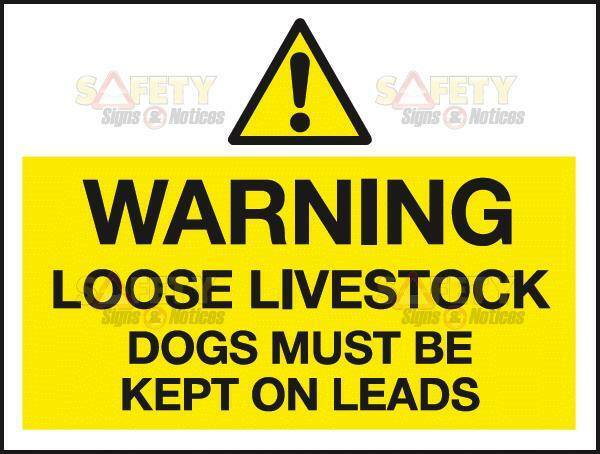 Livestock may become alarmed and injure themselves or your pets in panic. HOW DO YOU KNOW IF A DOG IS DUMPED? Here at the munster lost and found we never consider a dog to be dumped regardless of its condition when it is found. There are many reasons that a dog may be straying and in bad condition. It may be straying a while and is lost, it may have health conditions, We never assume that each animal that comes into our care is an unwanted or neglected pet, until we have exhausted every avenue to find its owner. We have all heard the wonderful stories of dogs being re-united after being missing for several weeks, months even years. And we have spoken with the very worried owners of animals who are missing with health issues. They are heartbroken with worry that their sick animals may never come home. So after years of experiencing all these sad stories and helping people in their quests to find their beloved pets we never assume. So what do you do if you find an animal? A lot of animals that are found in Ireland can be reunited very quickly by making local enquiries, and placing posters in the area it is found. You don’t have to have a photograph of the animal, a description of the dog, leaving out a few details so you can be sure the correct owner is reunited and most importantly the date and your contact details. If you can take a photograph then only photograph the face and again you can ask the person who contacts you to give you the details to confirm ownership. 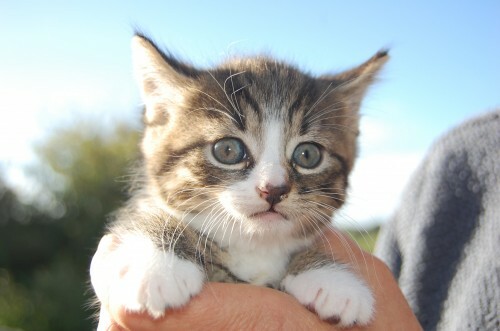 Bring it along to the closest vet, as they may recognise it and will check it for a micro chip. Report the found animal to the Garda station and more importantly the Local authorities. The first port of call for many people who have lost their dog Is the Local authorities and the Garda. Place the animals details on social media sites such as Facebook – but please bear in mind not everyone uses the internet as often as we do. There are a lot of people who do not have internet access. For every one person who browses Face book there are at least two who do not. We here at the Munster Lost and found are only a phone call away, for advise, information or assistance please contact us on: 021 4287216 086 2112850, face book, our webpage www.munsterlostandfound.com email info@munsterlostandfound.com or our face book page. It’s been a long time coming, but we’re delighted to finally present our new website – a huge thank you to our friends who volunteered their web design skills and completed the work for us at no cost. We hope this site will make it easier for pets and their families to be reunited. Users can now search for keywords in the lost and found listings, using the search bar on the homepage. Some of our little wanderers are quite adventurous and can travel far and wide, so a map is provided with each listing. Users can upload up to three pictures with each listing, and we encourage users to be as comprehensive and specific as possible when describing an animal, in order to maximise the chances of it being recognised. We also hope you’ll take some time to browse through the Munster Lost and Found Pet Helpline’s rescue dogs and cats, featured at the top of the homepage. All these little guys are girls are hoping to find loving new forever homes, so if you know anyone looking for a new addition to the family, please let them know. We fully support all our adopters through the process of taking on a new pet, and we are available for help and advice at every turn. And remember, all rescue dogs from the Munster Lost and Found Pet Helpline are neutered/spayed, vaccinated, wormed, microchipped and vet checked. Have a browse around to find advice on what to do if you’ve lost or found a pet, a list of useful contacts, and plenty of advice on responsible pet ownership – we think this will be helpful to all pet owners, not just those who have a missing pet. Finally, all the work we do at the Helpline is completely voluntary, and we rely on the kindness of our supporters to continue reuniting and rehoming dogs and cats. Please check back for news of fundraising events and competitions, or click the “Donate” button on our homepage to contribute. Every euro is gratefully recieved by our volunteers, and also by our four-legged friends, who send lots of woofs and meows of gratitude to all who help us! 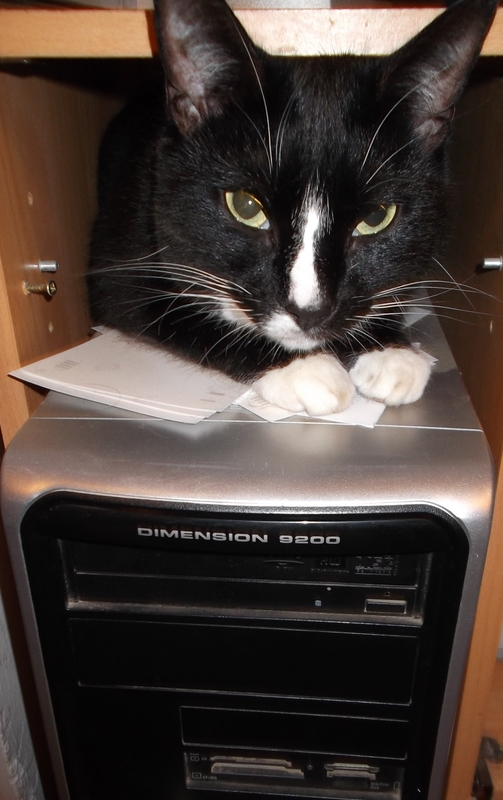 Mafi spent most of the design process sitting on the computer making sure everything looked purr-fect! At the Munster Lost and Found Pet Helpline, we help lost pets find their way home. At The Munster Lost and Found Pet Helpline, we help lost pets find their way home. Since our foundation, we’ve reunited hundreds of pets with their families, and found loving new homes for many more. We seek to reunite lost pets with their owners through our helpline and database of lost and found pets in Munster. Our helpline provides practical advice on responsible pet ownership to all pet owners, as well as those who have lost or found a pet and are unsure of what to do. In emergency situations, we provide shelter for stray pets, either at our small rescue centre in Cork, or with one of our foster families. If an owner is not found, we find loving new permanent homes that are thoroughly checked before the pet is adopted. We have a small group of dedicated volunteers who work with our rescues, helping to prepare them for new homes by spending time with them and socialising them. Every pet that we rehome is neutered or spayed, as well as being fully vaccinated and microchipped. We will never allow a healthy animal in our care to be destroyed. We are an entirely voluntary organisation – every cent we raise goes directly to caring for the dogs and cats we’ve taken in, as well as keeping the helpline up and running. This means we are hugely dependant on the generosity of our supporters in order to continue our work. We are incredibly grateful for any donations we receive; every euro donated is a huge help! Click here to find out how you can help us.